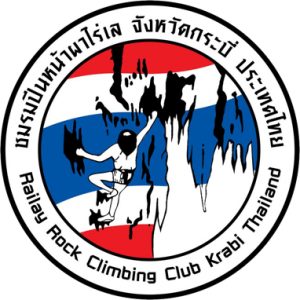 Krabi Rock Climbing is a climbing school that will ensure you have a safe and fun climbing experience with a professional instructor. Our guides are highly experienced as climbers and instructors, fluent in English, and great at working with kids! If you are interested in learning to climb, improving your climbing skills, or simply climbing with a partner that you know you are safe with, and has a great knowledge of the area and the many routes, then come join with us! We pride ourselves on having amazing guides who are passionate about both climbing and teaching. Our climbing instructors are some of the strongest climbers in the area and most experienced, ensuring that you will be able to climb your level, or help you to increase your level by setting you challenging routes. Our policy is to keep our groups small so that each person gets the attention they need and has a great climbing experience. However, if you want some one on one attention we are happy to provide you with a private guide. We use Black Diamond for harnesses, helmets, carabiners, quickdraws and belay devices. All equipment is safety checked on a regular basis. 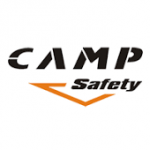 CAMP supply us with helmets, harnesses, belay devices, and dynamic rope for sport climbing. CAMP has some of the highest quality and most durable ropes available. Mad Rock climbing shoes have everything from comfortable for the beginner to the more aggressive styled for the advance. We stock a wide variety of sizes and styles. Safety is our number one priority and we take it very seriously. We maintain a high level of care and maintenance for all of our equipment. Our climbing equipment is inspected each day and replaced as needed. We also only practice safe climbing techniques, and don’t do anything dangerous that poses a risk to your safety and wellbeing. Each of our guides are trained in Emergency First Aid and Rescue and have had extensive training as an instructor. In the unlikely event of an injury you can be rest assured as we are insured to a premium level of cover. 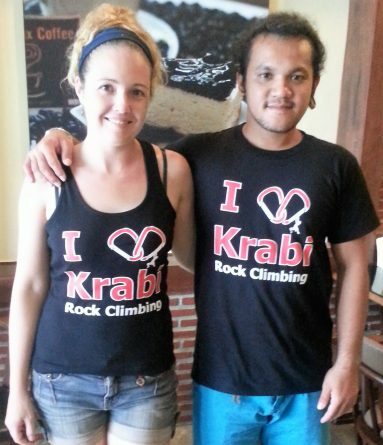 If you have any questions about Krabi Rock Climbing and our safety practices, please contact one of our friendly staff.